RHUDE is next in line to share its own rendition of the PUMA CELL Endura. The LA-based line was founded by Rhuigi Villaseñor back in 2015, and the forthcoming drop pays homage to his Filipino roots. Dubbed “Sundry,” the colorway reflects a traditional dying technique he learned from his mother prior to his family moving to the US. Furthermore, the sneaker features a mix of leather and mesh dipped in neutral tones, while PUMA’s retro ”CELL PUMA” branding is found on the heel in mint green. 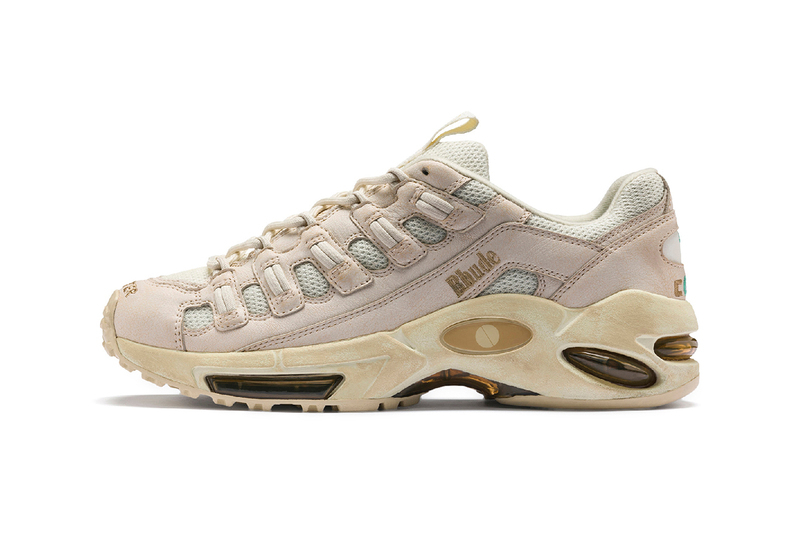 The RHUDE x PUMA CELL Endura “Sundry” will release on March 2 at select PUMA retailers and Puma.com for $150 USD. In related news, PUMA fans can also browse through its recent lookbook alongside ADER Error. The British fashion house attempts to make amends with more diversity and inclusive hiring.